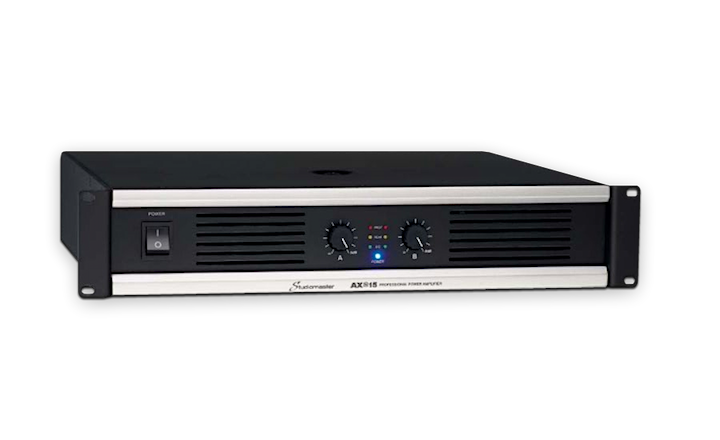 There are 3 models in the AX series of amplifiers, all offering you professional quality and high power in a compact 2-rack space package. As well as Hi pass filters, stereo crossovers and twin cooling fans, their biggest asset is their sound. 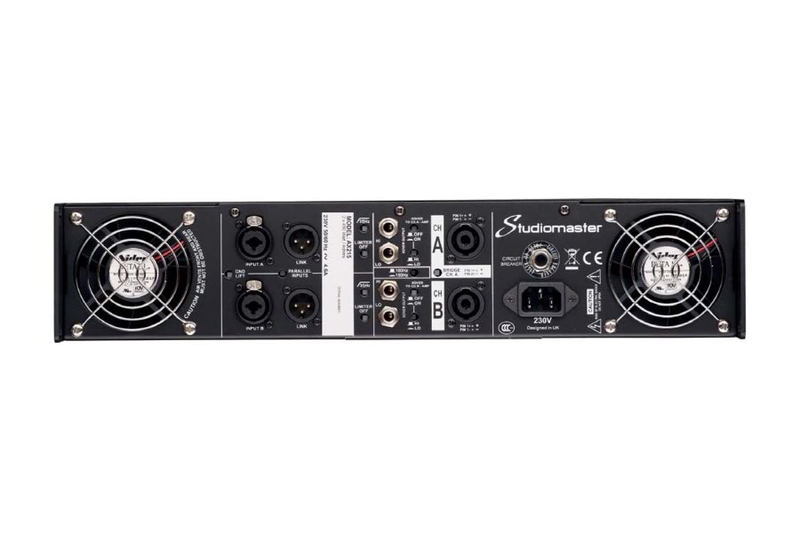 For three decades, Studiomaster has been building superb amplifiers. What has always set them apart from the others is their exceptional sound quality. The AX continues this tradition… you can concentrate on the performance, with no need to worry about the amps! 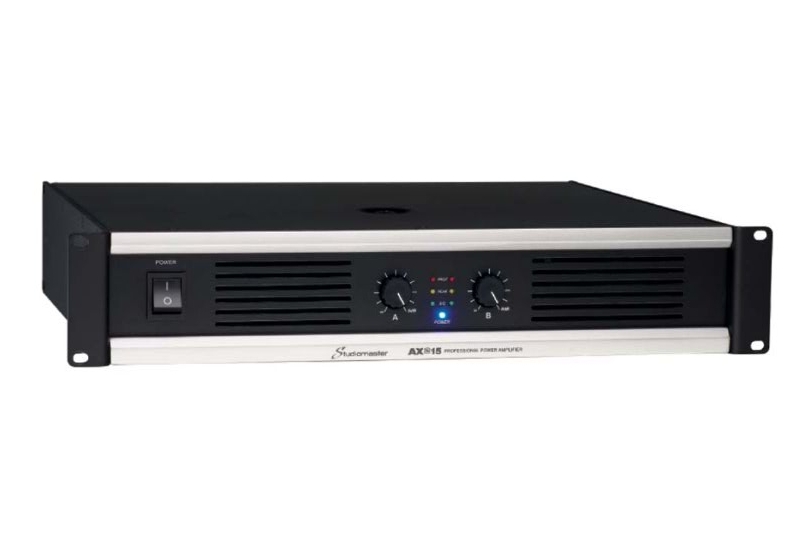 The AX amplifiers are perfect for stereo or bridged mono application and with the on board two way crossover, will suit virtually any application. The crossover frequency can be set at either 100Hz or 150Hz. Each channel can be assigned to the high or low frequency signal. 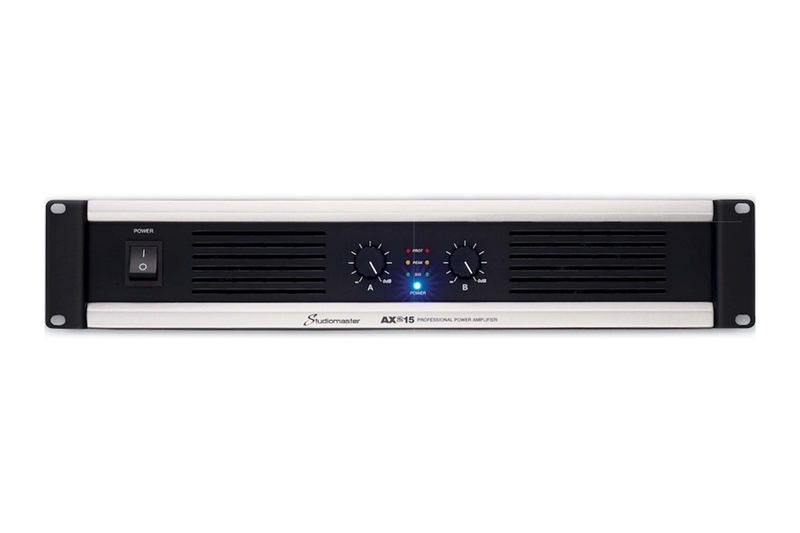 The output from each crossover is also available on 1/4″ jack sockets to connect more amplifiers.